The Interbrand Best Global Brands report list the top 100 most valuable brands, estimates their brand equity and tracks their growth. It is used by marketers and executives for insights and investors for stock tips. Notable brands this year were Apple, Amazon, Netflix, PayPal, Chanel, Subaru. Brands that recently adapted their business model to better suit customers needs grew the most in this year’s report. Interbrand coined the phrase “Customer as CEO.” Switching to a subscription model was the most popular change. Other success factors were: creating personal value for the customer, ultra luxury, master brand strategy, and fostering a culture of continuous improvement and respect for the brand. This report falls short by not appreciating the context these brands grew in. Capital is cheap and there is investor support, so these top tier brands are expected to grow. There is a rise in niche and influencer brands in peoples’ lives that is not appreciated. While the top 100 brands are exciting, the real interesting brand building is happening in the 101-10,000 most valuable brands. Interbrand, and international branding, consulting, and design firm, have released their list of top 100 brands with insights into which tactics and strategies increase brand equity. Interbrand regularly does high profile rebrandings for large corporations, as well as strategy and consulting for companies to hone and communicate their message and meaning to consumers. Much like other large consultancies (Deloitte, Accenture, KPMG, etc. ), they contribute to the industry by offering reports with primary research and analysis of other research. The Interbrand Best Global Brands 2018 uses data from Reuters, GlobalData, as well as Infergy, and combines it with publicly available data to arrive at an approximation of the dollar value of each company’s brand equity. This number reflects the value lost if a company could not use their brand name or brand assets anymore. 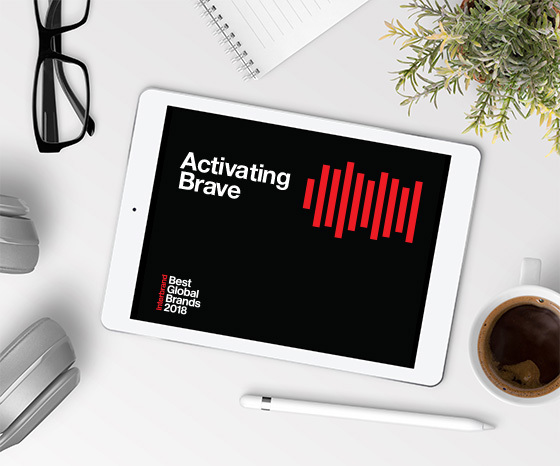 The role of the Interbrand Best Global Brands report for brand builders, like you and I, is to see what lessons we can learn from the big brands in order to grow our own. This list is also important to investors and analysts because the stocks of the companies on the Interbrand Top 100 outgrow other lists MSCI World, S&P 500, and Nasdaq. “[I]t’s clear that the Role of Brand is more important and valuable than ever,” says Charles Trevail, Global CEO of Interbrand. While I found the Interbrand report incredibly valuable, and do encourage you to download it, I had a different analysis in some parts then they did. I see commonalities between the growing brands and contrasts between the winners and losers that they did not pick up on. My following analysis is intended to be an add-on to their report and is not intedned to replace it. Apple is still the most valuable brand in the world, having a total brand equity of 215 billion dollars. Amazon has grown their brand equity 36% year-after-year for five years and outdid themselves this year with a 56% increase in brand value. Netflix brand grew 45%, a growth rate only second to Amazon. PayPal has increased their brand equity by 56% in the past three years, bumping the value by 22% this year. Chanel made it’s debut on the list all the way up at #23! It has a brand value of $20.005 billion. Subaru snuck on to the list at the #100 spot which is rather impressive in a year where other automotive brands struggled. “Customer as CEO” – Customers are in charge of business decisions more than they ever have been. The brands seeing success are the ones that can make fast, adaptive moves without reservation. Brands clinging to outgrown business models are the ones that are suffering. The mindset of agile development has permeated from tech to business. Companies that scored on responsiveness and relevance were winners in this year’s report. Quick adjustments to products and business models to suit the desires of the customers get appreciated and rewarded through loyalty. There are many examples of changes to business models from the brands on the Interbrand list. Apple split their iPhone business into a premium and standard phone lines. Amazon continually redefines itself with successful ventures such as in web hosting, fashion, home electronics, and grocery. Starbucks revolutionized their ordering process with their app. Nintendo, new on the list, went headfirst into mobile gaming with the Switch and iPhone / Android games based on the clear signals the new consumers of games were sending. We already see other brands on the list preparing to up-end their business models. Porsche, whose brand grew 6% this year, is willing to redefine its products and what performance means by doubling down on electric sports cars. Samsung is pushing into ultra-luxury with their phonesand tablets. Google is expanding their Made by Google line of hard goods. Luxury sport car buyers are fleeing Porsche and BMW for Tesla. Reading the clear signal, Porsche is willing to reinvent itself with their all electric Porsche Taycan and Pit Stop charging stations. 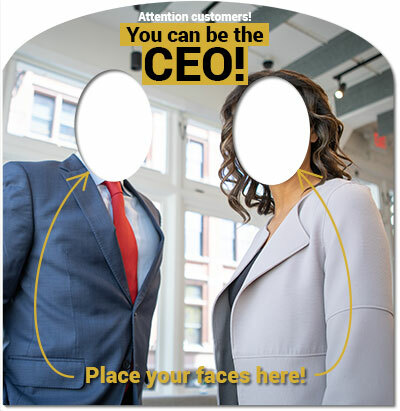 Interbrand coined the term “customer as CEO,” and I think that is a valuable new way of looking at successful businesses. More than ever before, we are allowing the customers to choose the business models that work best for them. While companies were once willing to tweak their products based on the wishes of the customer, the successful brands are eager to tweak every part of the organization. Customers are paying for more products via subscription. Are we going to reach a saturation point? Subscription models are trending as seen in the rise in subscriptions from 18% in 2009 to 29% in 2018 in the top 100. Both Adobe and Netflix chose a subscription model because it more closely aligned with their value propositions to customers. In both cases, their customers used their products on an ongoing basis and expected continual improvements. Adobe ads and refines features in the Creative Suite, and Netflix continually develops and ads new shows and movies. Artificial barriers such as product releases in Adobe’s case or physical Blu-rays or DVDs in Netflix’s case kept the companies from creating full value for their customers. There is a trend to subscription everything today: subscription water, subscription juice, subscription lightbulbs. One-time-use or commodity products are not appropriate for subscriptions. Companies where the customer uses the product multiple times a month and expects continual improvement are perfect candidates for subscription models. A subscription model allows the customer to pay in the same cadence they use the product, and it will enable the company to have the predictable revenue required to employ people and make acquisitions to improve the product continually. Amazon Prime and Microsoft Office 365 are subscription services that fit that alignment, and both companies are big winners this year. While too small to be on the Interbrand report, subscription brands like Harry’s, 4Ocean, Birchbox, and Blue Apron, are providing ongoing value to customers and improving their offering with every passing month. The companies that grew were the ones that created real and personal improvements in people’s lives. Companies that focused on creating positive utility increased their brand value 14.3% per annum, beating out those who didn’t that only grew by 2.3%. Value-driven marketing is on the rise. The companies that are increasing their brand value are shaping the messaging on all touch points to improve the experience for the customer. They add value by teaching them how to get the most out of the product or pointing out the self-expressive benefits of the products or the brand itself. Gone are the days of features and benefit; the marketers of these top-tier companies have evolved. 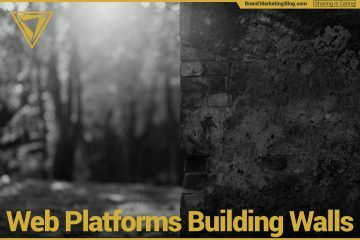 Where in the past, companies dominated through advertising spend, the companies that are winning on this report prefer to build added value into the experience because that value will be their promotion via word-of-mouth, social, and earned media. That is not to say that media is never used, rather it is seen as an expense that is used only when there is something noteworthy to communicate. There is a real difference between customer first and customer-centric brands, and those that embody the latter do better. Being ‘customer-first’ is knowing what the customer wants. Being ‘customer-centric’ is knowing how the customer thinks. Getting that deep an understanding allows for tweaks to every touchpoint to make the experience seamless and personally valuable. The customer’s advocate is the employee, and they are being empowered by the executives of successful business more than ever before according to Interbrand. Netflix revised their culture document explicitly stating the support employees have to criticize any part of the organization that they believe could be better. Learn why culture is important and how you can easily create the culture you need with our two-part series on company culture. Part 1: Why do you need Company Culture?, and Part 2: Company Culture in 3 Simple Steps. Master brands are becoming more important than sub-brands or product brands. The companies that aligned their marketing of distinct products to make the master brand grew this year. Nissan changed their messaging from focusing on the individual lines to the core brand. No longer was the question they posed in their ads “what would it be like to own a Rogue or an Altima?” The question became: “what would it be like to own a Nissan?” Which model just depended on your personal needs and budget. Don’t know what a Master Brand Strategy is? No prob. Read our article on the Master Brand Strategy and other brand relationship strategies. Those who made the ‘role of brand’ more important in their company culture grew their brand 2.4 times more than those who viewed the brand as they always have. The Interbrand report only features the top most valuable brands in the industry, and these elite brands are in a class of their own. While, on average, these brands are growing, they are growing in an environment where there is a lot of free capital. Their growth should be less surprising. This report is in the context of the most extended bull market in history, and with the financial crisis of 2008 well in these companies rear view mirror, they have the capital and the support of their shareholders to make significant changes in their business models. I am more interested in the moves of brands and brand builders who have to get scrappy and grow in a challenging environment. I don’t know how much there is to learn from the growing brands on the Interbrand list. The past Interbrand reports in the down economy of ten years ago had far more for the cash-strapped marketer and business owner to take away. The graph of the value of brands has a very long tail. This report only shows the tip of that graph (1-100) when the most exciting trends in branding are happening in the tail (101-10,000+). The Interbrand report, by its nature, does not address the rising role of niche and influencer brands in people’s lives. I would love to see the total brand value of these top tier brands compared to the total value of the small and mid-level brands, and how that ratio is changing over time. I suspect there is more value being created in smaller niche brands and personal brands.